‘Homage to the Sphere’ production still by Paul Evans and Humanstudio. Just what is it, this thing we call ‘colour’? The aim of this residency is to produce a series of artworks that will explore and investigate the many different ways in which we perceive and understand colour. 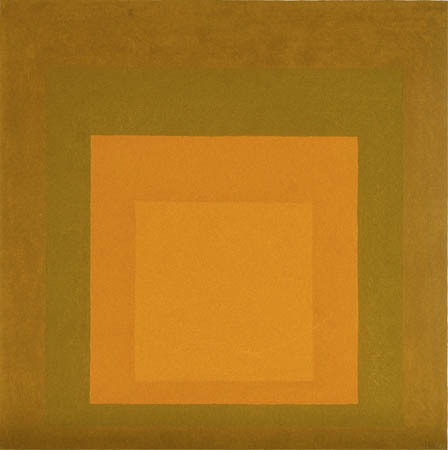 As might be expected, there will be a series of vibrantly coloured paintings made with pigments – compounds that selectively absorb wavelengths of light; and there will also be objects that look like paintings that are not made with paint, utilising ‘skins’ of newly created nano structures that will bend light and thereby confer ‘structural colour‘. There will be 3 dimensional printed forms that will model iridescence; a series of colour poems based on primary and secondary colours from 18th century colour wheels, and there will be a sound piece based on computer code derived from the bars of colour on a jay’s wing. There will be also be a virtual reality colour space that will be navigable using a computer game console and Oculus Rift headset; using the RGB ‘additive’ colour model that is used to create colours on computer screens or hand-held devices – like the one that you are looking at now. I will talk about the ‘paintings’, sculptures and musical art forms in forthcoming blog posts, but for now I would like to focus on the ideas behind Homage to the Sphere: the virtual reality artwork. I am currently working on this with Humanstudio a graphic design studio based in Sheffield. I have collaborated with Human on a number of creative projects in the past, including Chaos & Theory: a CGI animation featuring brightly coloured butterflies. In this animation a moving pattern changes each time the butterflies wings open and close, as does the species. Evolution takes place in time with the insects’ breathing. Homage to the Sphere will be a fully immersive, virtual reality, abstract colour space based on a three-dimensional rendering of the Munsell Colour System. This is a colour space that specifies colours based on three colour dimensions: hue, value (lightness), and chroma (color purity). It was created by Professor Albert H. Munsell in the first decade of the 20th century. 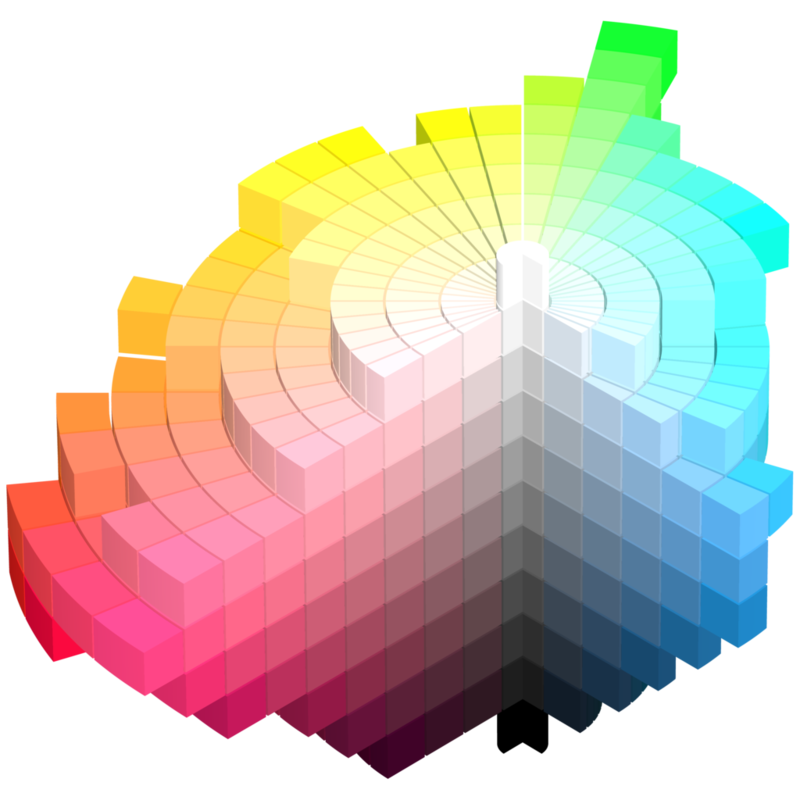 Several earlier colour order systems had placed colours into a three-dimensional colour solid of one form or another (e.g. 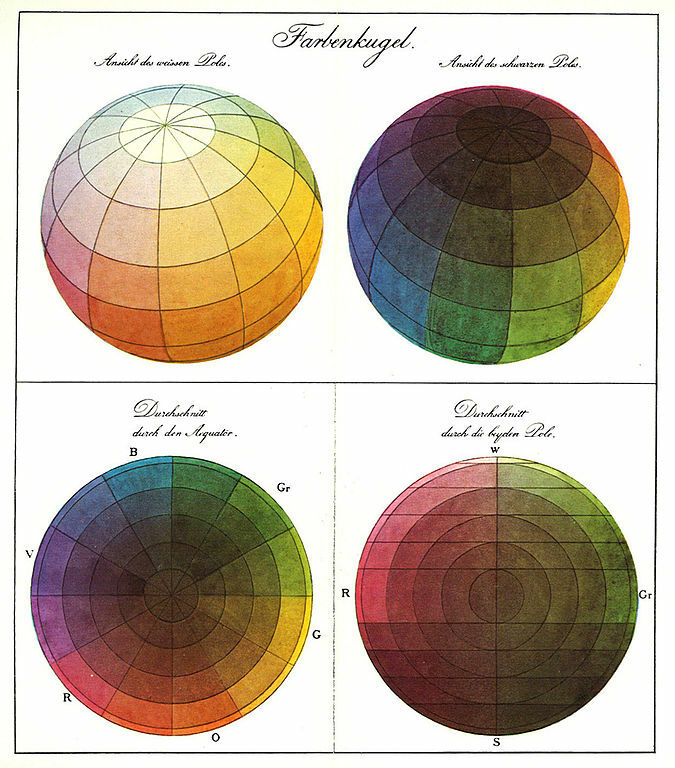 Philipp Otto Runge’s Color Sphere Die Farbenkugel of 1810), but Munsell was the first to separate hue, value, and chroma into perceptually uniform and independent dimensions, and was the first to systematically illustrate the colours in three-dimensional space. Munsell’s system, particularly the later renotations, is based on rigorous measurements of human subjects’ visual responses to colour, putting it on a firm experimental scientific basis. Because of this basis in human visual perception, Munsell’s system has outlasted its contemporary color models, and though it has been superseded for some uses by models such as CIELAB (L*a*b*) and CIECAM02, it is still in wide use today. Philipp Otto Runge’s Color Sphere (Die Farbenkugel). The top two images show the surface of the sphere, while the bottom two show horizontal and vertical cross sections. “Ansicht” is “Perspective”; “Durchschnitt” is “Cut-out”. 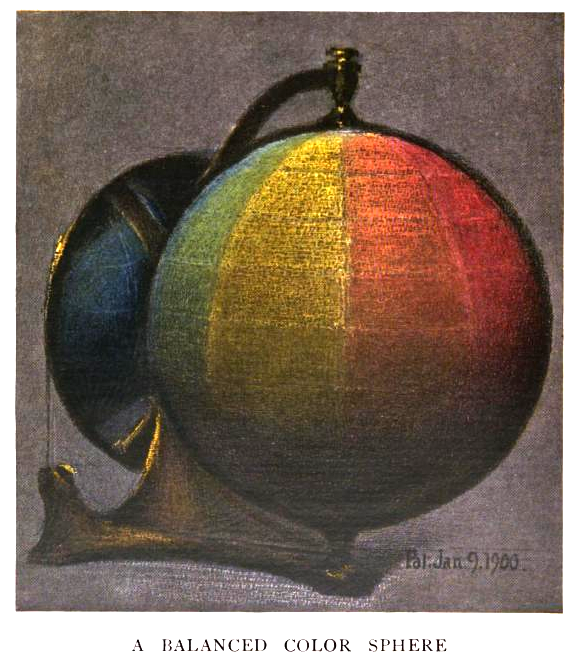 Munsell’s color sphere, 1900. 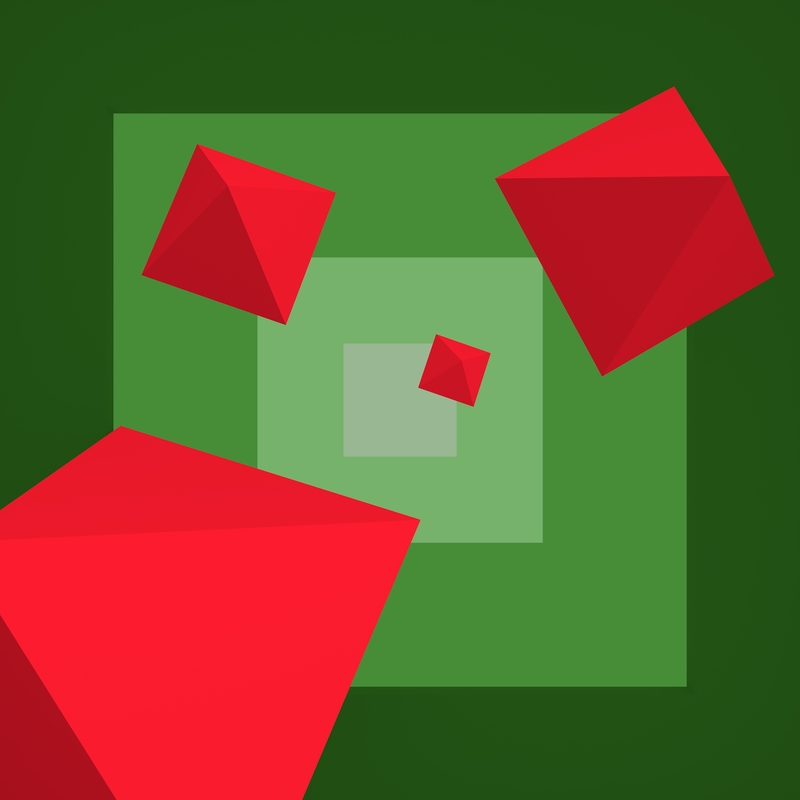 Later, Munsell discovered that if hue, value, and chroma were to be kept perceptually uniform, achievable surface colours could not be forced into a regular shape. Unfortunately nature is seldom this simple. Munsell discovered that if hue, value (lightness), and chroma (color purity) were to be kept perceptually uniform, then these colours could not be forced into a regular shape. 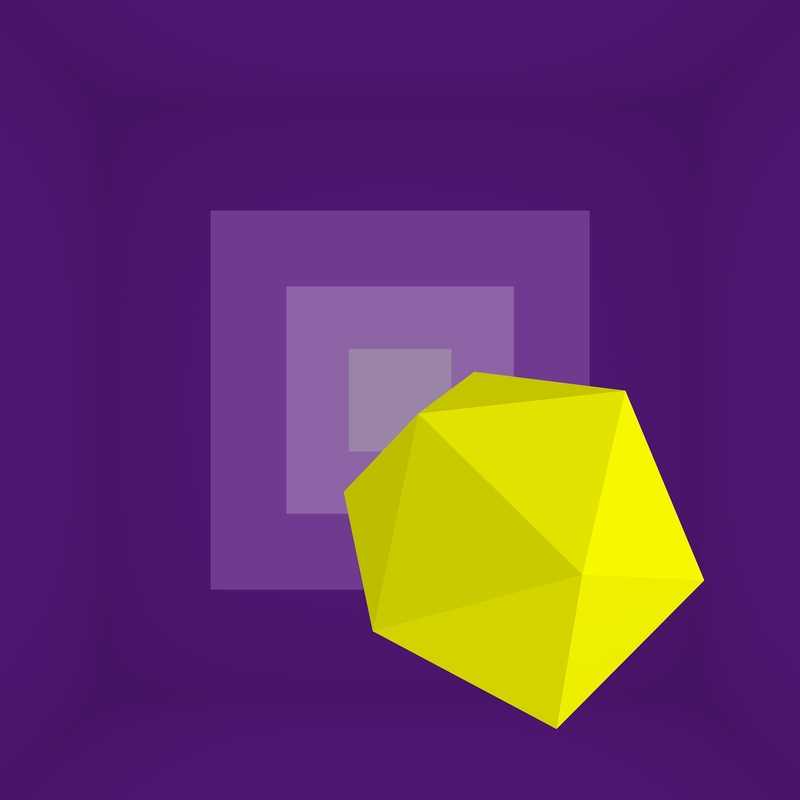 This has resulted in the irregular shape that we are using to model our virtual environment. Three-dimensional representation of the 1943 Munsell renotations. Notice the irregularity of the shape compared to Munsell’s earlier color sphere. Imagine this irregular shape as a series of rooms through which you are able to float in three dimensions, like a space ship devoid of gravity, or a vast sunken vessel flooded with water and bathed in a multitude of differently coloured lights. As you float, and explore, the logic of the arrangement starts to make sense – the bright colours around the peripheral rings become more muted as you head towards the grey centre, and become lighter or darker as you explore the polar regions at top and bottom. ‘Homage to the Sphere’ production still Paul Evans and Humanstudio.